Times can be tough for those who come across unexpected rough times financially, socially, and spiritually. I myself found my self in a pickle when while between jobs was running out of funds and was in a near panic about it. 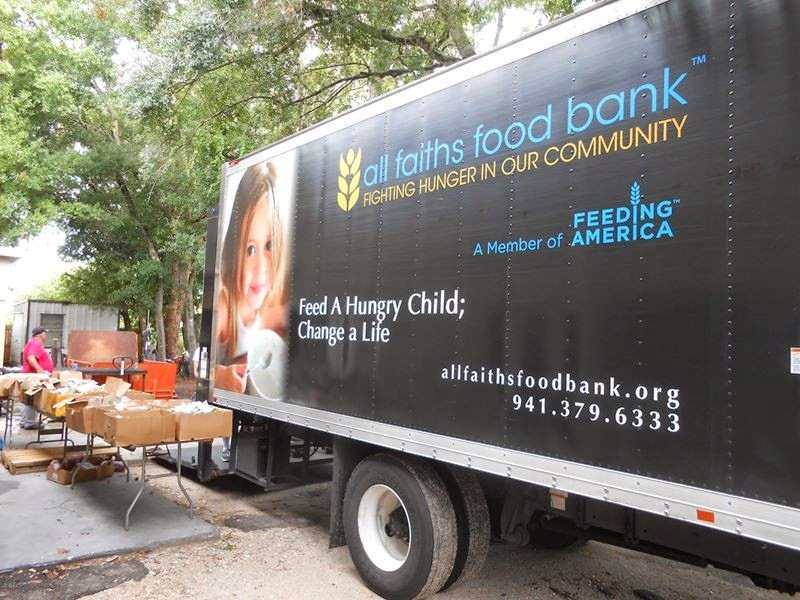 I bumped into a gent who pointed out to me about a local food bank that was located at The Harvest Sarasota Church. The food bank was ran by http://www.allfaithsfoodbank.org/ . My first time at the food bank I admit was a bit nerve racking but once I got there I was surprised. People of all walks of life had shown up by foot , bike, and car. All one had to do was sign up get a number and listen for your group number (1-24 for example) . Your meats came frozen and in a recycled grocery bag canned food was also available and even produce made its way to my cardboard box. I would recommend a cooler to assist you in keeping any frozen foods last frozen longer during transport. In some cases if you have a dietary need they are more than willing to help . The amount of food lasted me long enough for my second job calling me that I was hired. One thing about the All faiths food bank I did enjoy is the happy faces and helpful hands of it staff and volunteers. Thanks to you all faiths food bank for making this fellow not go hungry and the many out there too .